Smart Search is web-based software that allows advisors, students and parents to quickly and easily identify colleges where the student may be able to Get Into College and Get Aid™, and which colleges the family can afford based on the personal resources the family can pledge for college education. 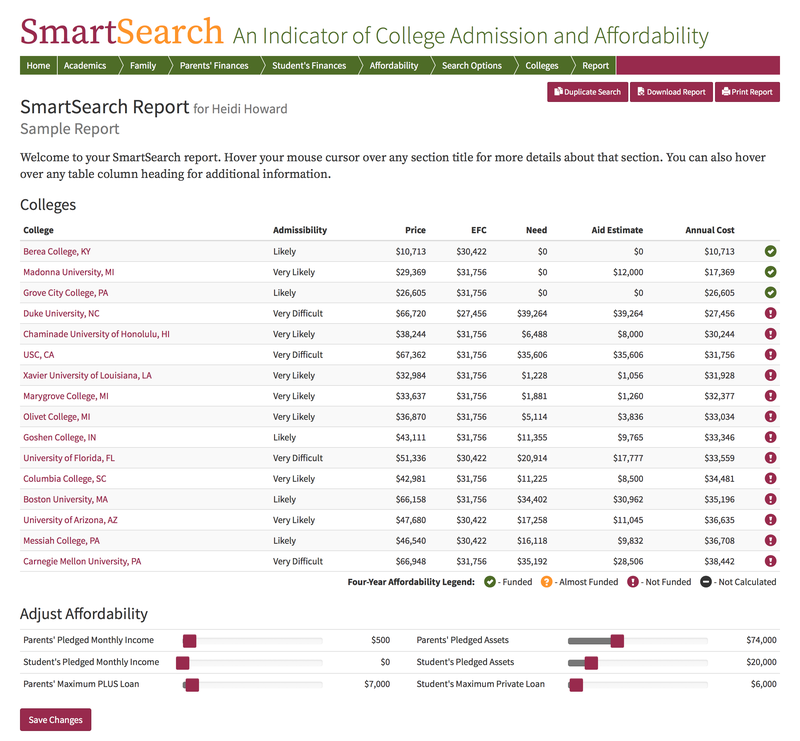 Smart Search addresses college selection, financial aid, tax aid and the use of the family's personal resources to pay for college, but places greater emphasis on searching for colleges based on admissibility and affordability. Download and review a sample SmartSearch report.